I’m constantly searching for new and exciting ingredients to add to my keto diet. Variety is the spice of life, right? So every time that I’m out grocery shopping, I try to keep my eyes open for any keto-friendly item I can add to my cart. Boom. Do you see that?! 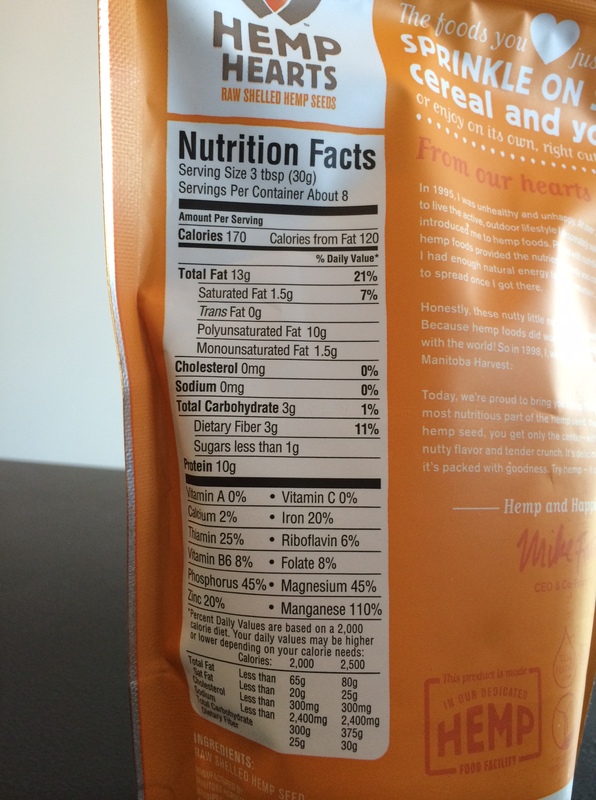 0g net carbs per serving. Zero! On top of that, we’re looking at a hefty amount of vitamins and protein as well. As soon as I finished studying the label, I added the package to my cart and headed to the checkout lane. Like I said, I had never purchased hemp seeds before. Before I opened the bag, I noticed that the seeds inside felt a bit soft. They felt more tender than say, sunflower seeds. 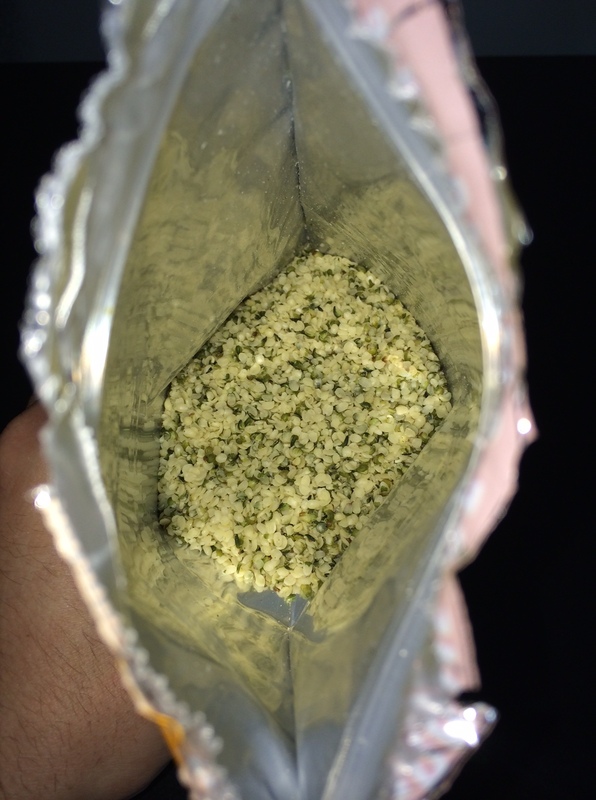 After opening the bag, I took in the smell with a big whiff. The aroma reminded me of peanut butter. Nutty and sweet but with a bit more earthy-ness to it. They almost look like tiny flower pedals, don’t they? Less than a minute later, I found myself spooning my first sample of hemp seed into my mouth. Just as I thought, they were softer and chewier than other seeds. While the smell reminded me of peanut butter, the taste was closer to sunflower seeds. They were nutty and salty as any good seed should be. 1. Add them to your salad. Okay, so I may have stolen this idea directly from the package of seeds that I bought. But hey, it seems logical. Seeds are a perfect addition to any salad, and these little buggers would add the ideal nutty zip. 2. Add them to your (full-fat) yogurt. The package also recommends adding them to your favorite yogurt. Be sure to go with a full-fat brand of yogurt without any sugar added. Try tossing a few raspberries in for added sweetness. 3. Make hemp seed pesto. Wonderful, wonderful, pesto. The great green goodness. 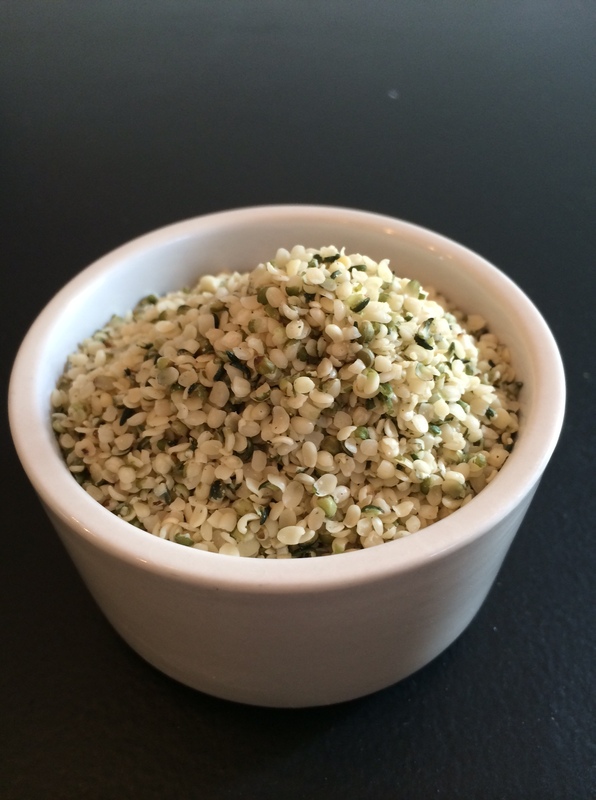 Bob’s Red Mill recommends adding hemp seed to pesto for added flavor and nutrients. Check out a recipe here. 4. Sprinkle them on your avocado. Try sprinkling hemp seeds directly onto our favorite low-carb super food, the avocado. They should compliment each other quite well. That’s right, I said it! Open the bag and spoon them directly into your mouth. Sometimes there’s nothing better than a quick, nutty seed snack. Did I just say quick nutty seed snack? 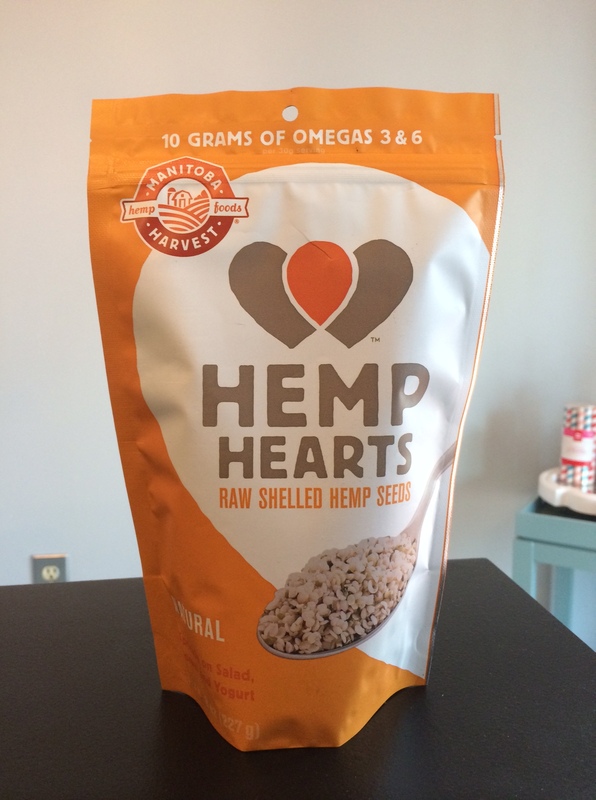 You are now ready to head out to your local natural food store to pick up your own bag of hemp seeds. Just be aware that you should refrigerate the package after opening, and you should be good to go! How do you use hemp seeds? Let us know in the comments below. Previous Previous post: Cheesy Buffalo Scrambled Eggs – Made in a Coffee Mug!